Scorched Earth Alienation (n) – intentionally trying to destroy a child’s relations with a parent and associated family tree. 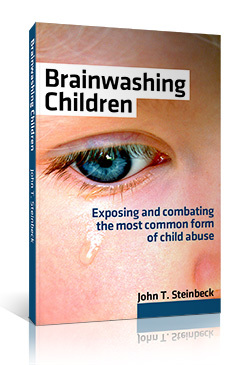 There are different levels of brainwashing children, the most extreme of which is Scorched Earth Alienation. When the ex tries to poison the relationship with not only the other parent but with that parent’s sisters, brothers, father– the entire family tree essentially, this is called Scorched Earth Alienation. In my case, my son’s mother tries to deny him a normal relationship with his own half-sister, his Daddy (me), his grandpa (denied him an exchange– which I promptly filed a motion with the Court), and cousins. She’s not just satisfied with getting him to hate his own Daddy, she’s going after the entire family tree. It’s truly sad… I hope your situation isn’t nearly as far-reaching as mine. So when it comes time to discuss with your lawyer or the jury your plight, use this term– it’s perfect for what the malicious behavior it’s describing. Parents who view visitation with the other parent as something that’s a necessary evil often count down not only the days in front of their child, but hours too. If a parent says to the child “Honey, I miss you so much, only 40 hours until I see you,” what is that telling them? First, it tells them that there’s a mental clock counting town the time until “freedom” occurs. Until the misery of having to be with the other parent is over. It’s simply not healthy for parents to use such countdowns. My son’s mother does this. Just yesterday it was “40 hours.” Not 2 days, mind you. 40 hours. What she should be doing is asking him what he’s doing, to support those things, and then say “have a blast tomorrow, I’ll talk to you then.” Period. So if your child mentions “only 35 hours until I see Mom,” you know what’s going on the the parent’s mind. There will be situations when your ex will demand that he/she be allowed to appear at an event, or else the child won’t be allowed to come. Last week my nephew was prevented from accepting a trophy at an awards banquet simply because his Dad wasn’t allowed to attend (Dad is involved in a highly toxic divorce with my sister). Dad said that if he’s not allowed to attend, then his son won’t be there, either. And that’s what happened: I, as the uncle, was there to see the trophy, while my nephew sat at home because Dad was punishing his ex. Yet never mind the punishment meted out on his own son– preventing him from the thrill of accepting a trophy won in a horse riding competition. This is just another form of using children as a pawn, and it happens too often in separations and divorces. Instead of doing what’s best for the children in all instances, bitter ex’s lash out, and damage their kids in the process.